Drink your favorite beverage in a mug that looks Marvel-ous! The Marvel Comics Deadpool Enamel 12 oz. Mug is made of enamel and resembles the feel of an old time military mug. 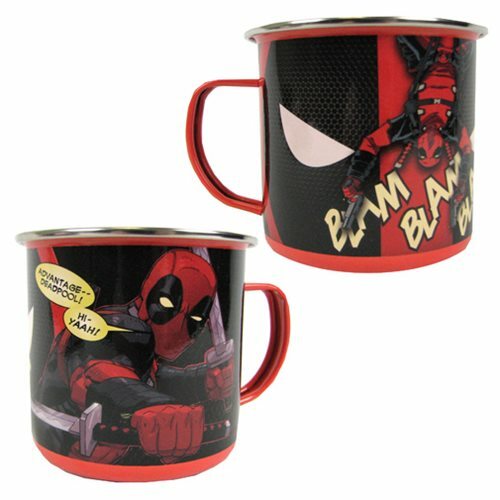 The mug is a must have for fans of Marvel Comics Deadpool! Measures approximately 3 1/2-inches tall. Do not microwave. Hand wash only. Not dishwasher safe.